Earlier this year, Facebook gave us a TIP (Telecom Infra Project*) about what could come next for them at the infrastructure level. Most members of the project, starting with Intel, Nokia, SK Telecom, Deutsche Telekom, are also on board of Facebook's much wider Open Compute Project, which also claims top coopetitor Google. 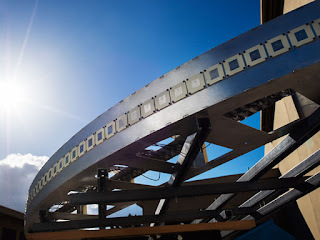 Naturally, Menlo Park wants a front seat for next gen network premieres - typically, early bird SKT is expected to be the first on 5G. But recent announcements*** at the F8 days confirm that the company intends to reach deeper into the value chain to secure and strenghten its leadership, particularly where innovation in network performance can prevent bottlenecks in these pervasive big data / heavy content times. 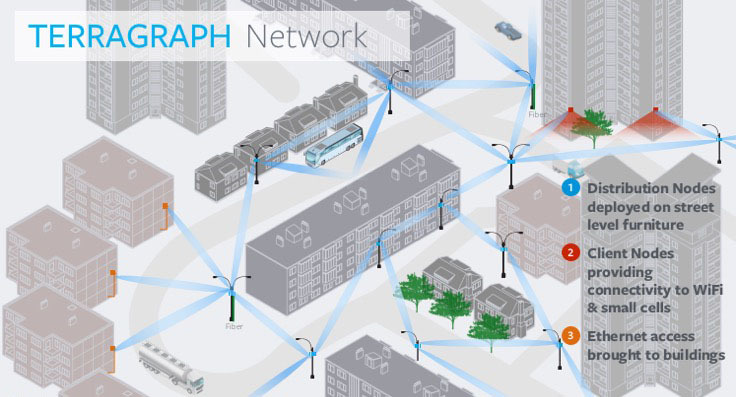 Terragraph (WiGig WiFi on 60 GHz) proposes ultra efficient W-LAN coverage for dense urban areas. You only need a station every 200 to 250 m. Of course it doesn't provide seamless handover, but a 200 m radius allows you more mobility than your typical hotspot. Project ARIES (Antenna Radio Integration for Efficiency in Spectrum - MIMO) is more into W-WAN for rural areas. It combines 96 antennas to manage 24 simultaneous data streams, and aims at over 100 bps / Hz compared to 71 in early trials. Could Facebook become a non-2-to-5G MNO, or a player in the game of standards? Not so fast. But an even more competitive value aggregator, certainly.